Michelle Kim is a filmmaker – actor, director, producer, and writer – of South Korean and British descent. Her filmography includes works such as The Goodbye Girl (2013, dir. Amber Ripley), Lost Lagoon (2012, dir. Rob Leickner), and The Tree Inside (2015, co-directed with Rob Leickner), the last of which was an official selection of the 20th Annual Vancouver Asian Film Festival in 2016, where it was presented the Audience Award for Outstanding Canadian Feature. 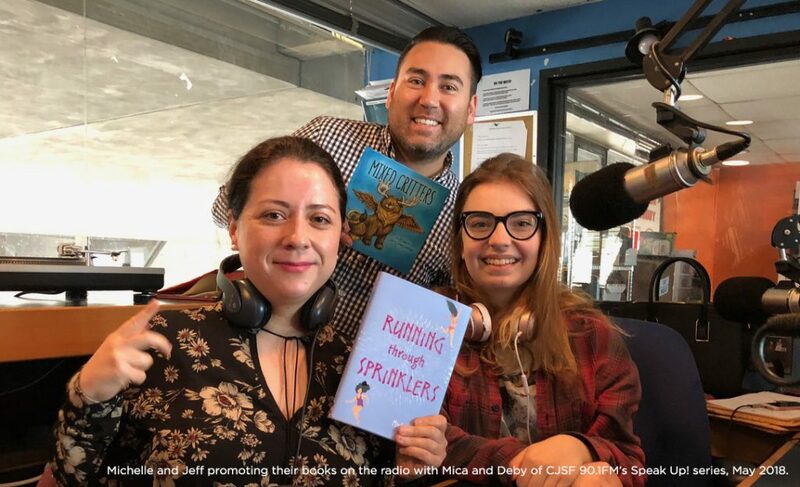 She has recently published her first book, Running Through Sprinklers with Simon & Schuster/Atheneum, and we had the pleasure of chatting with her. 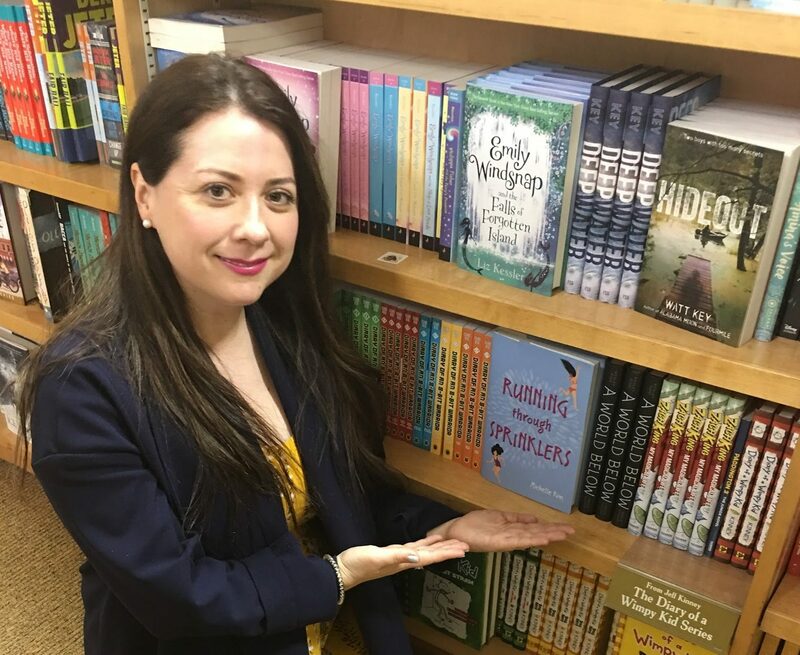 Michelle has travelled across the continent sharing her inspirational message with readers young and old, and recently made an appearance presenting Running Through Sprinklers to a school in the Bronx, New York. Here she is in a Barnes & Noble at Union Square in NYC! 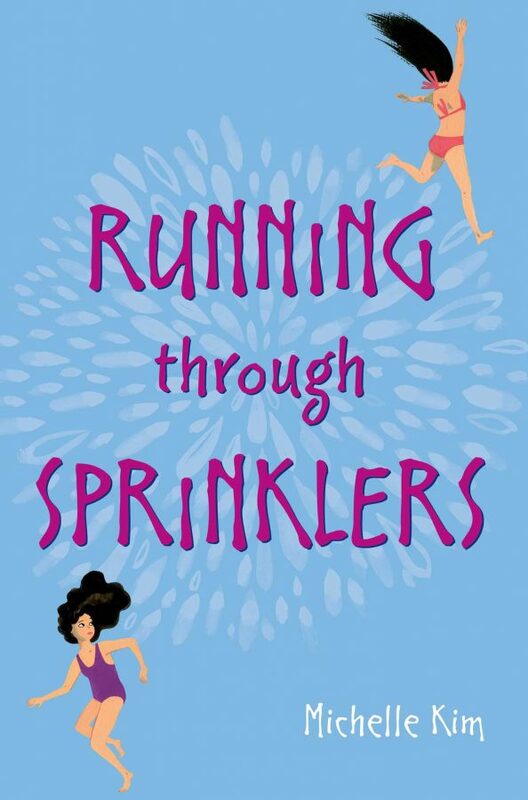 VAFF: So first, tell us a little about your book, Running Through Sprinklers? MICHELLE: It’s a coming of age novel about two young girls who are both Hapa – one half Japanese, one half Korean who grow up in Surrey. They’re best friends and the book explores the year they grow apart as friends, and the intense friendship the young girls had with each other — almost like their first love and at the end of that it’s like their first heartbreak. VAFF: Did you have a friendship like that? MICHELLE: Probably, I mean I had a couple of friendships as a teen like that, and I think most people have. None of the events in the book happened in my life, but it is loosely inspired by my growing up in Surrey as Hapa. VAFF: Was being Hapa an important element to include in your story? MICHELLE: Yes and no. I wanted to write a book where it was normal reality. Where it was just natural that people are from different places. I don’t explicitly state that this person is Hapa, but give clues that they are, and let the reader figure it out. I wanted to write it as a normalized experience. VAFF: Did your experience in filmmaking help you write this book? MICHELLE: Oh for sure, I started writing this book before getting into filmmaking, but came back to it after and it helped me with pacing and structure. I’m a visual person, and I’m still writing about visual things. Acting helped me as well. When I was writing I would find myself crying as I would write certain parts since I could really feel the emotions of the characters. VAFF: Why is writing diverse stories important to you? MICHELLE: It’s important because we are in a diverse society — we’re commenting on what’s going on and that’s important. A big issue now is that institutions are questioning whether these diverse stories deserve to be front and centre. Obviously, I think they do, but a lot of the times it seems like institutions are accepting of diverse stories, so long as they stay in the margins of the mainstream. Like, I’m even having problems getting through doors and I’m published with one of the top five publishers in the world. And I’m one of the few debut novelists who are women of colour in Canada with a major publisher and yet in Canada I still struggle to get into festivals. I have a publicity team in the US and Canada and if I can’t kick down these doors, what does that mean for other Asian-Canadian debut novelists who are trying to get through the door and don’t have the resources to kick them down? It’s really tough, and we all have to keep pushing since naturally Canadian Institutions have a bias against minority writers. We don’t see it as a problem, since we see Canada as a multicultural place, but it’s still super tough and we deserve to be front and centre. There is a lot of work ahead of us — people are more aware, but it’s still a major problem. VAFF: Given that, what advice would you give to young creators trying to get into creating content? MICHELLE: You just have to work harder than everyone else. Wake up earlier, push harder, and have to put muscle into everything. You have to be a bit aggressive. Stay optimistic, but you just have to work harder. Things won’t land in your lap – in order to be seen you have to create a commotion. VAFF: On a more positive note, what do you find rewarding about putting your work out there for people to see? MICHELLE: The most amazing thing has been when people come up to me and hug me and tell me they love my book. 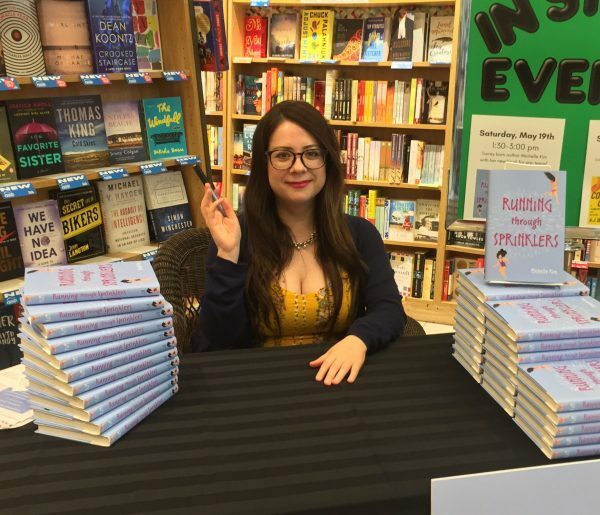 One time a Korean woman came up to me and said they didn’t know me, but they are so proud and bought like five of my books. I felt so supported! When I first saw her, I thought she was a friend of the family or something. I can’t believe it was a stranger actually coming to my signings. That’s starting to happen – strangers are starting to come to my signings which has kind of been interesting! VAFF: And for your films, what do you like about putting those out there? MICHELLE: The same reasons. What happens with me is I come up with an idea for a story and I figure out the best medium for it. Not to say my book won’t be adapted for the screen in some form, but I just decide first whether the story works better for a book or movie, etc. And then I sort of just go with it. I think every story wants to have a certain medium and you just have to listen to it and go with it. VAFF: Do you have other stuff coming down the line? MICHELLE: I’m working on another novel and another film. I’m going away to France to write and do some research so I’m really looking forward to that. The next project I have is more film. I love going back and forth between a book and film since writing a book is super solitary whereas making a film is collaborative and social, and I love working with people. I’m want to hear other people’s thoughts! VAFF: Finally, do you think Hapa/mixed representation has improved? MICHELLE: It’s improved. I’m optimistic. It’s not about the fact that people aren’t telling these stories. There’s a ton of Hapa people telling stories, it’s just that they have to find a place to be seen and heard. That’s where there’s an issue. It is happening very slowly, but there’s definitely some work to be done. Jeff Chiba Stearns is an Emmy Nominated and Webby award winning animation and documentary filmmaker, whose films One Big Hapa Family (2010, winner of Reel Asian’s 2010 NFB Best Canadian Film or Video Award), and Mixed Match (2016, winner of VAFF 2016’s National Bank People’s Choice Award for Best Overall Feature), have been official selections at VAFF. 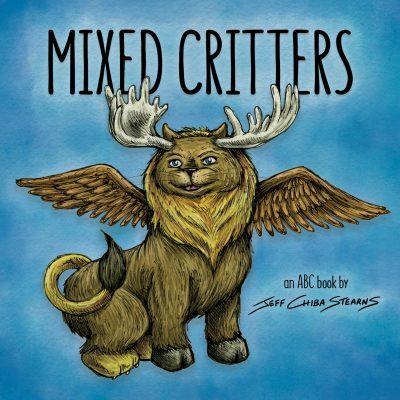 He has recently published a children’s ABC book called Mixed Critters. VAFF: What is your book Mixed Critters about and why did you write it? JEFF: Ever since I was in high school, I’ve always wanted to write and illustrate children’s books. Although, I put the idea on the backburner for 20 years as I pursued my career as a filmmaker. After being emotionally drained from the production and promotion of my latest feature length documentary, Mixed Match, I finally felt like now was the right time for me to switch focus and start illustrating. Being part Japanese and European descent, I focus a lot of my work on multiethnic identity. 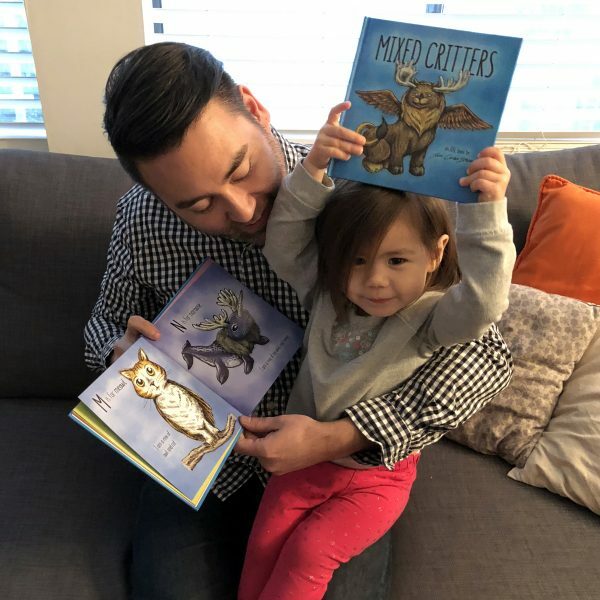 So for my first children’s book, Mixed Critters, it was very important for me to find a way to reflect mixed identity in a fun, creative and cute way for kids. As well, as a relatively new father, I’ve been reading a ton of kid’s books. 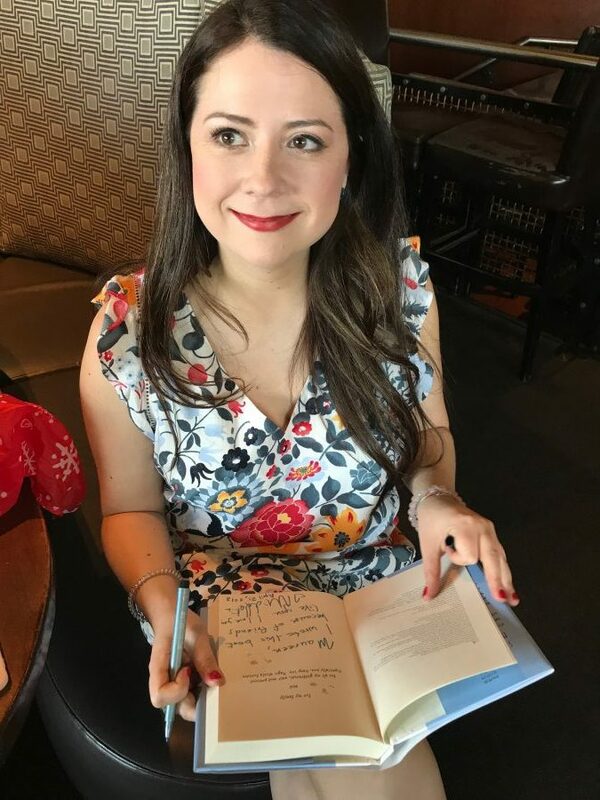 Therefore, I wanted to create an ABC picture book to help educate readers, like my mixed daughter, to be proud of their own multiethnic heritage. Since my wife is also mixed Japanese Canadian, we joke that our daughter is a Hapa 2.0! Through the various depictions of hybrid animals from A to Z, I’m hoping that young readers will be encouraged to discover and discuss their own mixed ancestries with their parents. 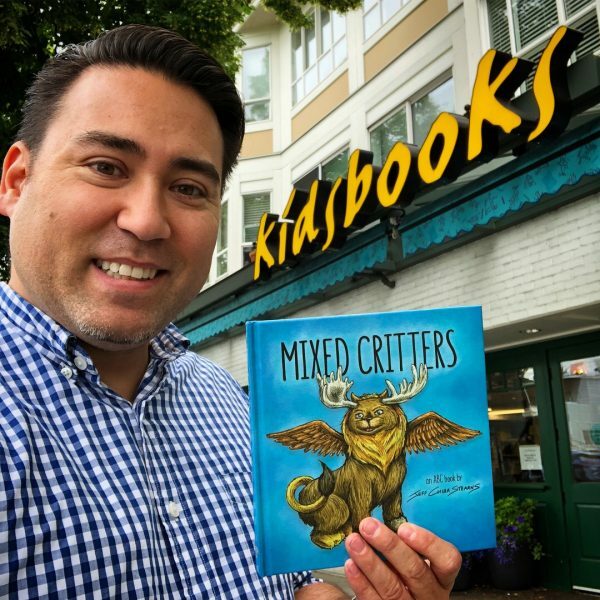 Mixed Critters is a children’s book that serves as an introduction to mixed race identity through the blending of various animals and I really wanted to create a book that would help introduce children to notions of racial mixing and blending in an accessible and creative way. Although, really, the book is for everyone who loves cute little critters! VAFF: Multi-ethnic people are the fastest growing demographic in North America, but you hardly see representation of them in the media. Why do you think that is? JEFF: I think it depends on how mixed people self identify and how they are represented in the media. You actually see a lot of leading mixed actors such as Keanu Reeves and Vin Diesel in movies, although, they pass as more white so their mixed ancestries often don’t become a point of discussion. In interviews, some movie stars, like Olivia Munn, are very vocal about their mixed heritage so unless it’s brought up, it’s not really talked about. I really feel that mixed representation in the media has gotten better, and more and more, we are seeing mixed actors being able to just play themselves instead of having to be ‘either this or that’. We’re living in an age where every bank commercial needs to have an interracial couple with mixed kids to help reflect the diversity of their clients. If I had seen this as a kid in the 80’s I would have been over the moon, although now it’s so common and trendy that I’m actually getting tired of it. These days, it feels forced and that companies have to show an interracial couple in their ads or they’re behind the curve. With the popularity of organizations such as 23andMe, people are realizing that they aren’t as ‘pure’ as they once thought when they get their ancestry test results back. Perhaps with more people embracing that they have a multitude of diverse backgrounds, it’s normalizing it. Today, many people with multiple ancestries probably don’t feel like they have to point it out anymore, they don’t feel like they have to define it. They can just exist and tell their stories without having their identity be the main focal point, which is completely fine. At the same time, I helped co-found the Hapa-palooza Festival, Canada’s largest cultural festival celebrating mixed heritage, as a way for mixed people to share their stories and creativity with others. Our ethnic backgrounds have a lot to do with shaping our identities and can be a factor in helping fuel our creativity. I really feel that the more stories, music, films and books that exist, that capture our unique experiences, the better! I grew up in Kelowna during the 1980’s, which was predominantly ‘white’ and I suffered the effects of bullying and racism. I would later use filmmaking as a way to channel my own self-reflections on my mixed identity. It’s always important to note that not everyone has the same experience and it really has a lot to do with how we choose to personally navigate our own cultural mosaic. Many people who identify as mixed have at some point swung back and forth with how they identity. For myself, there are times I wanted to solely identify as white and fit in, then switching and embracing my Japanese heritage to finally being proud of being mixed! VAFF: What do you find rewarding about creating content that represents yourself and your experiences? JEFF: I just want to make media that inspires people to tell their own stories and express themselves creatively. I hear from parents that their kids are drawing their own mixed creatures based on my book. That’s awesome! With Mixed Match we raised the dire need to find more mixed and minority bone marrow donors thus inspiring people to save lives by having them sign up to the national bone marrow registry. 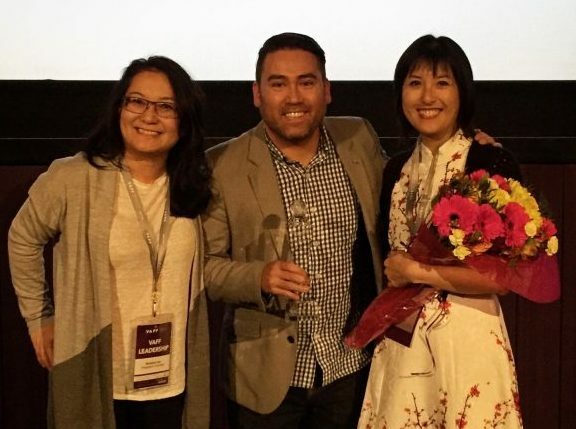 With One Big Hapa Family, the documentary compelled families to talk about their histories and inspired kids to discuss identity with their parents. I love that my work can help inspire people to go out, create and want to share their own stories with each other. VAFF: Finally, what advice would you give to inspiring Hapa creators? JEFF: We are living in an incredibly interesting time right now with the overt racism and xenophobia brewing in North America. It’s more important then ever to share our stories and create magic out of chaos. We all have unique stories to share drawn from personal experiences and self-reflections, places and times. Obviously a person who identifies as being mixed in the 60’s will have a much different experience then I did growing up in the 80s. My daughter, who was born during this multiethnic explosion, will have a far different experience then I had. Therefore, we all need to come together and share our stories in order to help build some much needed compassion and tolerance in our society. For Hapa creators, they can bring a unique and often underrepresented voice to the table. A voice that is growing and becoming louder. Jeff Chiba Stearns receives the 2017 “Outstanding Contribution” Diversity in Film Award at the 21st Annual Vancouver Asian Film Festival. Meditating Bunny Studios – Use promo code ‘mixed’ to save 10%! Jenna Matsuhara is the Community Partnerships Liaison with the Vancouver Asian Film Festival. Jenna works through VAFF to spread awareness of different diverse media, both foreign and domestic, and to promote independent filmmakers. This article is part of a series of INFUSIAN News Spotlight Articles: vlog posts, interviews, and articles exploring VAFF’s 2018 season theme of INFUSIAN, which features individuals and organizations who are pushing the boundaries, creating not only film, but art, culture, and change by infusing their work with a diverse mix of traditional and contemporary influences. Over the course of 2018, we’ll be profiling artists, filmmakers, musicians, thinkers, and agitators are changing the world in which we live by bringing a unique perspective based on their lived and cultural experiences. It is through this act of enrichment that they are renewing society with fresh and interesting ideas, and new and unexpected takes on ancient traditions. We encourage you to stay tuned and join us on this fantastic journey!